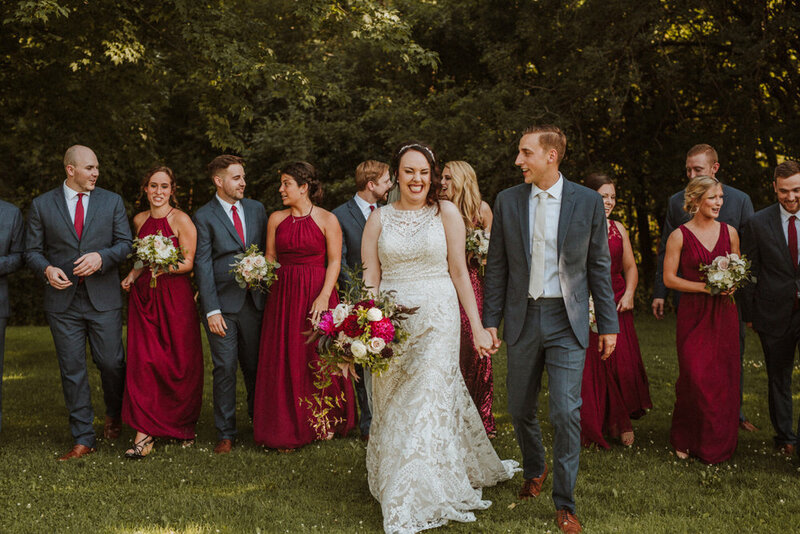 Jordan & Hannah's wedding day was nothing short of amazing. Hannah took so much time to plan out such amazing details to show their love story during their day. From the wall of photos of the two of them that went back to high school to quotes about love surrounded by beautiful florals. They even designed their invites together. With Jordan living on Colorado and in the Air Force and Hannah living back home in Wisconsin, they made sure the celebrated big! Despite the 95 degree heat, I've never seen a dance floor so packed or so many friends and family cheering them on during their entire wedding day!